This post contains slight suggested spoilers for Rogue One. The Star Wars franchise has always been a pivotal point of pop culture and the film industry since its inception in 1977. It could be argued that Star Wars is the reason the science-fiction genre took off, especially in film. Star Wars has always been progressive, from its mind-blowing special effects to its strong female characters and iconic villains. With the release of Rogue One, Star Wars continues to impact the film industry, and I believe that Rogue One does it more so than any other Star Wars movie to date. While I have mixed feelings about the film and its execution, I still think Rogue One did some things right. It's those aspects that make Rogue One the Star Wars movie our world needs today. From Princess Leia to Obi-Wan Kenobi to Ahsoka Tano, Star Wars thrives off of strong characters. While the Original Trilogy reveals that female characters can be strong and fight just as well as male characters and while The Force Awakens has three diverse leads, Rogue One rules the pack with the most diverse cast of Star Wars so far. 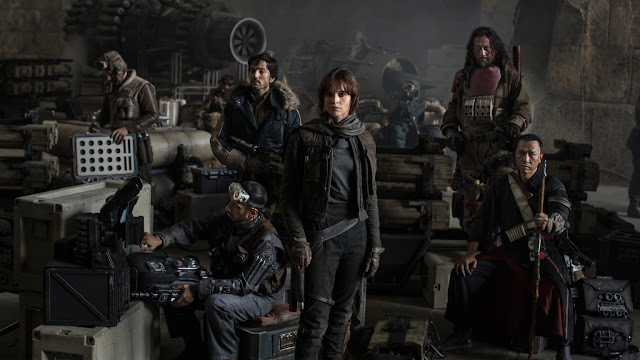 The main core of the cast consists of one woman and four men (and a sassy, reformed Imperial droid): Jyn Erso, Cassian Andor, Chirrut Îmwe, Baze Malbus, and Bodhi Rook. Of these four men, all of them are people of color. Diego Luna, who plays Cassian Andor, is half-Mexican. Donnie Yen and Wen Jiang, who play Chirrut Îmwe and Baze Malbus respectively, are Chinese. And Riz Ahmed, who plays Bodhi Rook, is Pakistanian. The lead character, Jyn Erso, is female, played by Felicity Jones. She's not your typical female character either: she's strong, smart, and tough. She's been through a lot in her life, and she's learned to adapt and fend for herself. But she also has a caring side, especially when it comes to her family and eventually her comrades. It's inspiring to see such a diverse cast that crosses over stereotypes or tropes. Each character has a rich personality (and potential backstory), giving viewers a reason to care about their mission and fates. In addition, there is diversity among the rest of the cast, even minor characters or the so-called "background" characters. In scenes with large numbers of people, the faces in the crowd are diverse--and not just because there are aliens. There are people of all races among the ranks of the Rebel Alliance. There are even several female pilots during the Battle of Scarif. The streets of Jedha depict racial diversity and also religious representation since it is a type of "holy land" for Force followers, including priests, scholars, and holy men and women. Overall, Rogue One did a fantastic job including diversity and representation within its cast. This will pave the way for future Star Wars and science-fiction/fantasy films to do the same. One of the biggest aspects of Rogue One that sets it apart from the other films in the franchise (other than the lack of an opening crawl) is that it's gritty. Rogue One constantly paints people and places that are dark, dirty, and realistic. Gone are the pristine starship walls and dirt-free stormtroopers (despite being on a desert planet for several days). Rebels, stormtroopers, and aliens alike are depicted in a more realistic way. Characters get dirty and drenched in rain, and they die. After watching the film, I tried to describe to others how Rogue One felt in comparison to the other Star Wars films. It definitely has a different tone to it, a different atmosphere. Not the victorious, optimistic mood that follows Luke wherever he flies. Not the story driven by the return of Jedi and bringing balance to the Force. Sure, there's one character that relies on the Force, but he doesn't wield a lightsaber. Yes, Darth Vader is in the film (and it's glorious), but other than that, Rogue One could pass as any science-fiction film that includes war. It reminded me of Firefly with the rough-around-the-edges feel. The feeling that things could fall apart at any moment. It felt more realistic than previous films. The characters are mainly rebel soldiers--or recruited by rebels. They do things that are morally gray out of duty to the cause. They run into a chaotic battle without knowing if they'll survive. They win and they lose. This film reveals the underbelly of the Star Wars universe, the side depicted often in the books and not in the movies. Rogue One is the other side of the rebellion. The Star Wars movies have always been about making choices. The Dark Side vs the Light Side. Becoming a Jedi or running away. Confronting your enemy or letting them win. 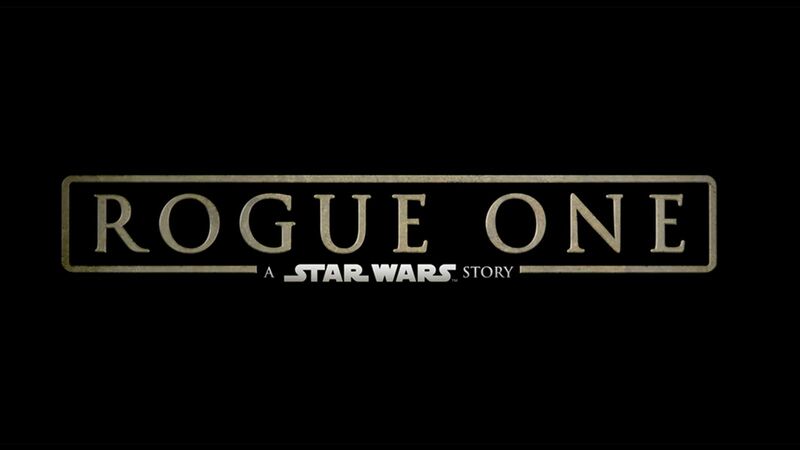 Choices are the forefront of the stories, and Rogue One is no exception. Yet, somehow, the choices made in this film are so much more vital. The ragtag group of wannabe-rebels makes a choice: to be part of something bigger. Most of them don't have to be involved with the rebellion, don't have to sacrifice their safety for the cause. But they do. They all--every single character, including the reformed Imperial droid--make the decision. Jyn Erso didn't have to agree to help the rebellion; she could have left or gone back to the labor camp without a second thought. Chirrut Îmwe and Baze Malbus could have stayed in Jedha or found a way off the planet to live somewhere else. Bodhi could have stayed employed by the Empire instead of defecting. Galen Erso could have given up and let the Empire take over the galaxy with the Death Star. Even minor, nameless characters volunteer over and over to aid the Rebel Alliance, putting their lives on the line for the hope of a better future. Every character makes a choice, and those choices have weight. They propel the Rebel Alliance forward. The characters in Rogue One don't sit back and let the Empire take more lives. They act. They make the choice to do something about it, to save the galaxy, to give the Rebel Alliance a sliver of hope in defeating the Empire. Even the most unlikeliest of people--a blind man, a defector, an abandoned girl, a reformed droid--turn out to be heroic and brave, standing up against the evil. Their choices stand out to me because it's about something greater than themselves. Yes, Luke and Leia and Han and Chewbacca chose to risk their lives as well. But they always had hope they would win, that they had greater power on their side. The Rogue One crew never had much hope, but they continued in order to bring hope to others. And I think that message is something our world needs today. In hopeless situations, we can act, we can make a difference. It might not feel important or as catalytic as becoming a Jedi or leading the entire Rebel Alliance into battle. Maybe you're just the guy that pulled a switch to get communications through or the droid that distracted the enemy troopers from reaching the people retrieving the Death Star plans. But each of those roles are pivotal for the plans to reach the Rebel Alliance. Every choice is important. Rogue One reveals this in a new way, moving beyond the simplicity of choosing good or evil, light or darkness. The first thing I wanted to do after Rogue One ended was to immediately watch A New Hope. These movies go together seamlessly with the end of Rogue One taking place only hours before A New Hope begins. Suddenly, everything that occurred in A New Hope became much more important. The words of A New Hope's opening crawl have so much weight to them. The first victory against the Empire is one full of sacrifice and tragedy. And Rogue One finally tells that story, finally shows what it costs for such a victory. It makes you realize how much was given for the Death Star plans, how much was given to stop the Empire. Rogue One isn't just another tale about the Skywalker family learning to use the Force. It's not a story about restoring balance to the galaxy. It's about the little guys--the characters in the background, the characters you never think about. The ones that have a reason for joining the rebellion, but you haven't been told that reason. It's about the countless "redshirts" that are killed because it's war and that is what happens. It's about people who don't have ancient magic to save the day. It's about the every day people. It's about you and me. And then you stop and you think about what destroying the Death Star did. Yes, it stopped the Empire from destroying more planets. But it didn't stop the Empire. It took two more movies--several years of spying and fighting and destroying a second Death Star--to finally vanquish the evil from the galaxy. When you think about that after watching Rogue One, it makes you think about whether it was worth it. Was it worth it just for the Empire to continue to rule? To create another planet destroyer? Star Wars is just a story, you might say. It's old, it helped kickstart science-fiction films. But it's not real and it's just a fun, fantasy story to enjoy. I think Rogue One changes that. It gives the Original Trilogy much more weight. It's no longer your typical "hero's journey." It's about sacrifice and making decisions and the lives that were lost to propel the hero on to his journey. Without the Death Star plans--without Jyn and Cassian and the rest of the Rogue One crew--Luke would never have learned to trust the Force (at least not like he did), the Rebel Alliance would have been destroyed in one blast, and the Empire would have succeeded in wiping out its opposition. Rogue One is the reason the rest of the Original Trilogy is possible, and it comes during a time to revisit the old story and learn from it as we enjoy the new stories in the coming years. Despite everything, Rogue One inspires hope. After the movie finished, I was angry. Angry at the way it ended, the way the story tore at my heart strings and made me care so much for these characters. How could I possibly feel happy about this film after it ended in such a way? I realized, though, that I could. Yes, I'm still angry, though I'm not surprised at all how it ended. However, I realized that this film inspires hope in a new way than the other Star Wars films. Star Wars has always been balanced on the concept of hope. (I mean, one of the films is called A New Hope.) Hope that the Republic will end the Trade Federation. Hope that the Jedi will stop the Sith. Hope that the Rebel Alliance will defeat the Empire. Hope that the Resistance will finish off the First Order. There is always that underlying hope slipping through every movie, every story. Rogue One doesn't feel very hopeful. Due to the realistic, gritty tone, it feels void of hope most of the time. How can there be any hope of stopping a space station that can destroy entire planets? How could a handful of wannabe rebels steal the Death Star plans and get them to the Alliance? How can they all survive a chaotic battle with endless stormtroopers and countless starships? It doesn't seem possible, and not all of it is possible. But that doesn't stop them. They don't give up on their mission for fear of death, for fear that they'll fail, for fear that there isn't hope. And even when there is tragedy or destruction, even when things seem absolutely hopeless or dark, there is that fighting chance of hope. Rogue One amplifies this. It presents characters that are basically on a suicide mission, yet they don't give in and they don't give up. They push through; they do whatever they can. Because if they don't--the Empire wins. If they don't--the galaxy is lost. If they don't--there is absolutely no hope for the rest of the people. Perhaps the Rogue One crew didn't hold on to hope for themselves. Maybe they had given up that hope, but their actions gave hope to everybody else. It ignited the Rebel Alliance with hope, and that thrust them through to the end of Return of the Jedi and the final battle against the Empire. Without Rogue One, all hope would be lost. Our world today needs hope more than anything. And Rogue One shows that despite all the tragedy, the grittiness of life, and the evil actions in the world: there is still hope. Whether you like the movie or not (I myself am on the fence about it), this movie is pivotal for our world right now. It paves new paths for the film industry and for the world. It inspires hope, it amplifies what Star Wars means and always has meant, and it shows that anybody--no matter their social class, personal beliefs, skin color, or gender--can and will make a difference in our world.